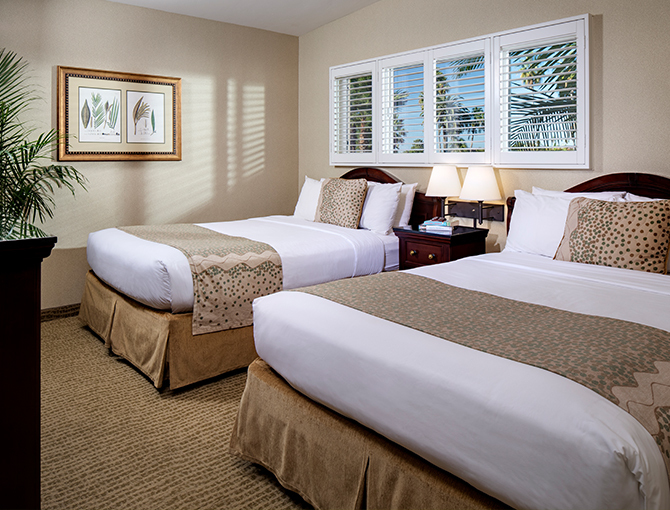 With 664 square feet of spacious accommodations, the bay view resort suite is a great choice for your next stay at the Bahia. 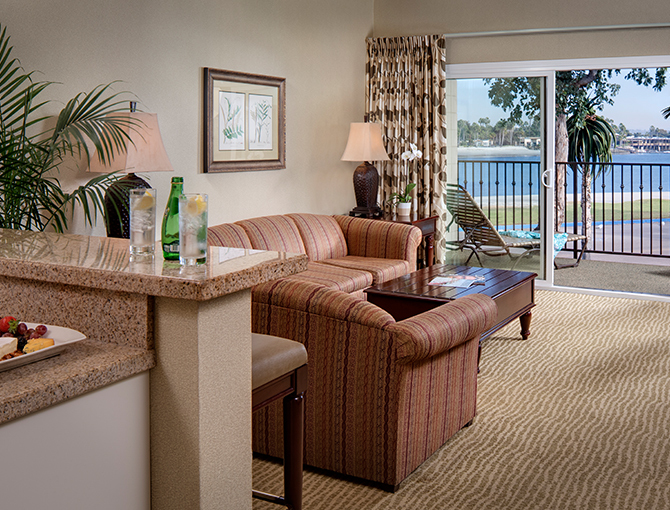 The suite location sits on the east side of the peninsula, offering scenic views of Mission Bay and San Diego. 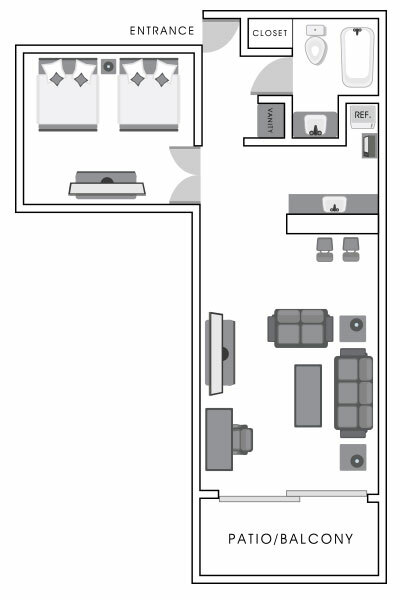 The space features two queen beds, a pull-out sofa with a full-sized bed and a patio or balcony. 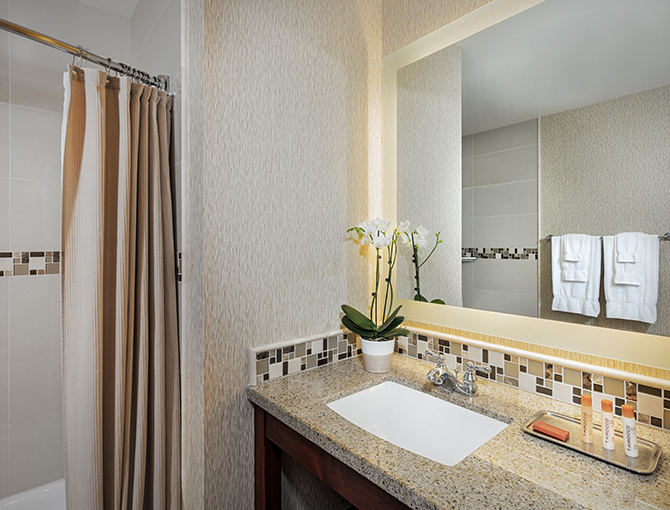 With an array of delicious amenities delivered to your room upon arrival.